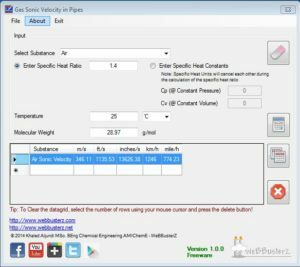 Gas Sonic Velocity calculator, calculates the sonic velocity of a specified gas flowing in a pipe. Sonic velocity is also known as speed of sound. 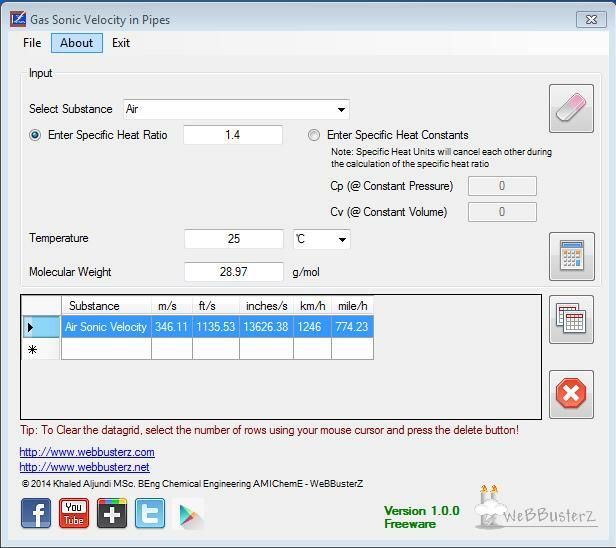 This is mainly the sound velocity of the internal substance in a pipe. 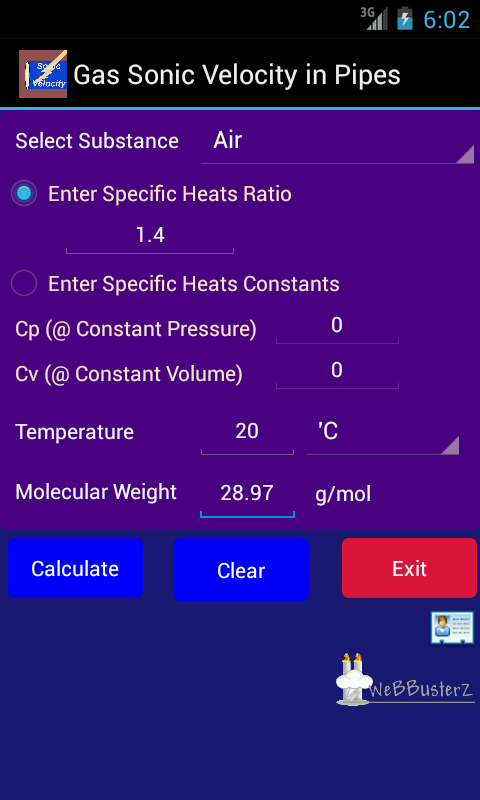 This calculator is mainly targets process and chemical engineers whom may find it useful for quick check calculations. 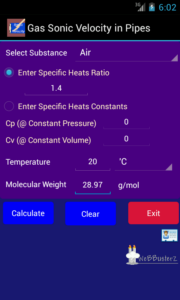 You can choose “Other” from the selection box and enter your own Specific heats ratio or alternatively enter the Specific heat ratio at constant volume and Specific heat ratio at constant pressure.